Emmerson PLC are listed on London’s AIM stock exchange with the ticker LON: EML. 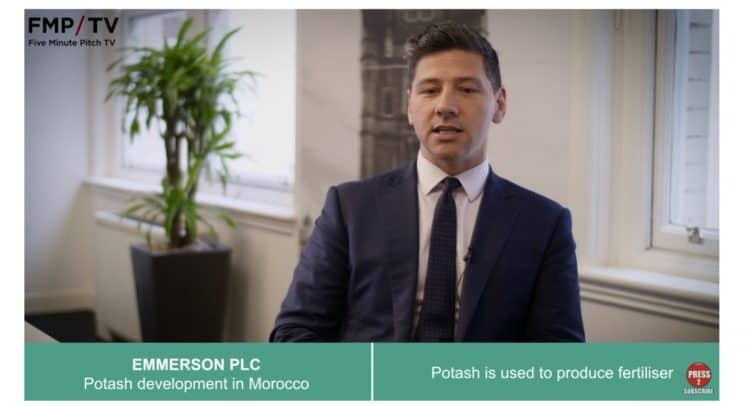 They are developing a project for the mining of Potash in Khemisset, Northern Morocco, a country which was recently sited in the Mining Journal’s risk report as the number one jurisdiction for mining investment. The Khemisset Potash Project in Northern Morocco has a large JORC Resource with significant exploration potential and an accelerated development pathway. A Scoping Study has confirmed Khemisset’s potential to be a financially robust project that delivers strong NPVs and cashflows through a range of potash prices – the project has low capital costs and high margins. The Newsletter is available on the Company website here: https://www.emmersonplc.com/investors/company-newsletters/.